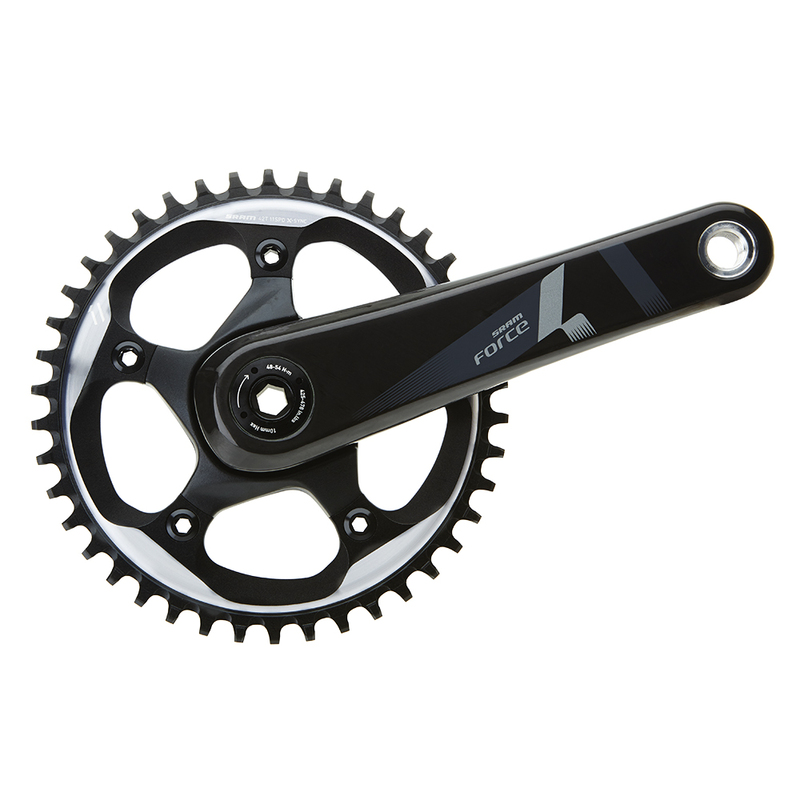 The SRAM Force 1 crankset brings to cyclocross a game-changing upgrade in performance and reliability by combining the durability, simplicity, and efficiency of SRAMs Force 22 road combined with our MTB 1X technology, X-SYNC. SRAM X-SYNC wide-tooth, narrow-tooth chainring technology provides maximum chain control, crucial in cyclocross. Unidirectional carbon in crank arm matched to a forged alloy spider for lightweight and durability. Chainrings available in 38, 40, 42, 44 and 46 teeth to conquer every course from sand dunes to gravel-road assaults. Single-ring drivetrain simplifies functionality. Weight (42T – 172.5mm): 542 grams (BB30), 710g (GXP)Item is pictured with rings, but SRAM does NOT include chainrings or bottom brackets with crankset!